The arrival of the outdoor wood fired pizza oven into suburban backyards has opened up a new world for pizza lovers and those who appreciate well-cooked food. 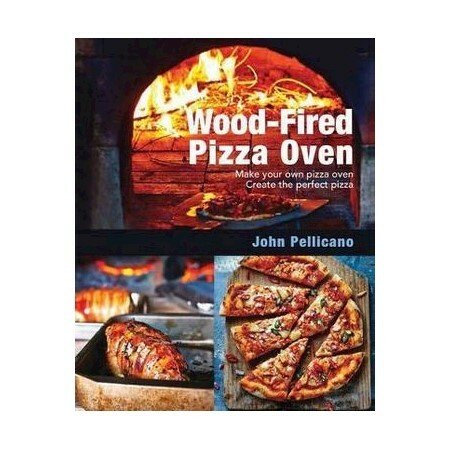 In The Outdoor Woodfire Pizza Oven, author and chef John Pellicano takes the reader through the steps of building and maintaining an outdoor pizza oven, and shares 50 of his best pizza recipes. In addition to helping the reader to master making the dough, the variety of toppings on offer will make a gourmet chef of even the most casual weekend entertainer. The book also suggests other foods that can be successfully cooked in an outdoor oven: foods such as roast meat, chicken wings, and vegetable dishes. John Pellicano is a chef and lecturer. He has extensive experience in the food industry and has dipped into his Italian heritage and culinary expertise to compile this, his first book.